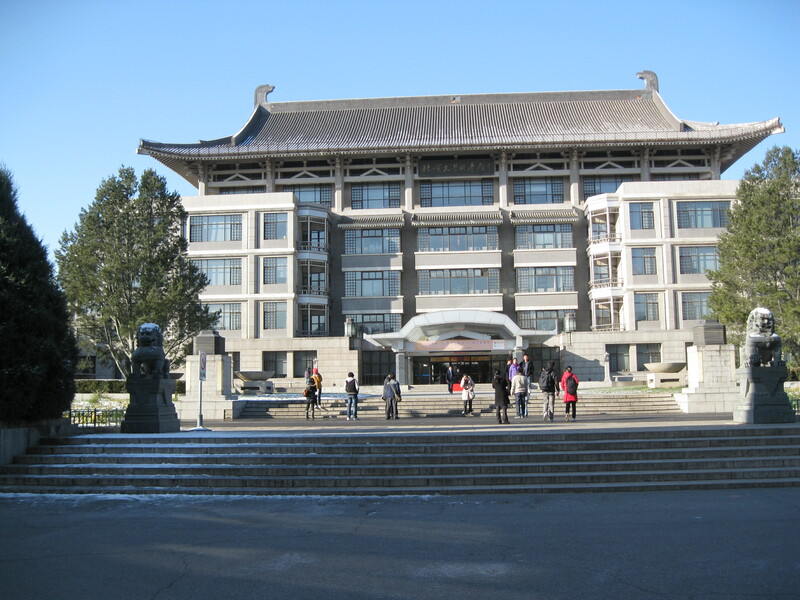 On 4 December 2011, my friend Angel and I did a walking tour of Peking University. 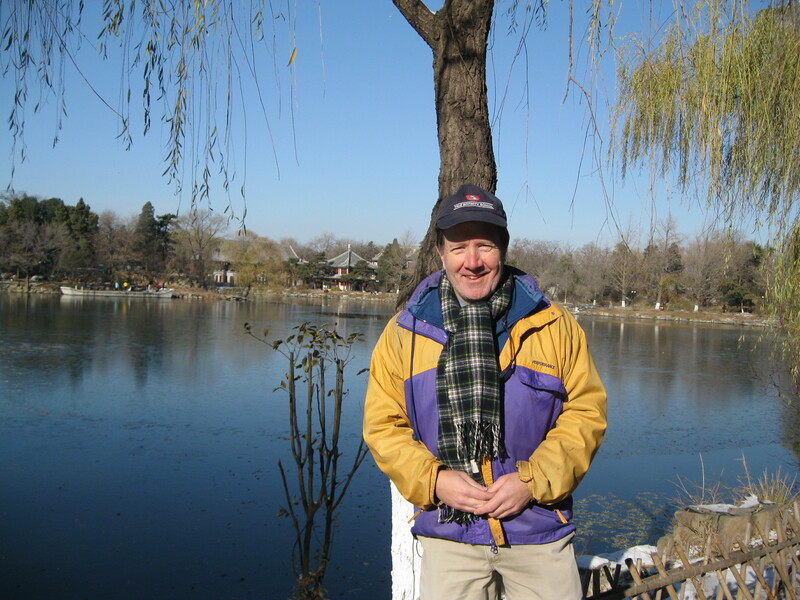 As it was in fact a cold-ish day, I was grateful to be wearing two layers of socks (I am still wearing sandals), including the warm pair I bought at a La Fuma outlet in Wanfujing. They are not wool, but they are more substantial than cotton. The subway ride to the East Gate of the University took about 45 minutes, which included watching an absolutely charming little girl of about 2 insist that the seat next to her be taken by one of her parents. A stranger had given his seat up for the mother. Finally, the mother did sit down, and I heard her say to her daughter, “What do you say?” to which the daughter replied in a very small yet clear voice, “Xiexie.” Several passengers were watching this drama unfold, smiling all the while. Not surprising, we both had to sign in, with Angel providing her ID number, and me my passport number. From there, we walked straight toward the library, which is a very new and impressive building, yet retaining some traditional Chinese touches. In the States this would be the equivalent, perhaps, of a university library being built in a Gothic or neo-Gothic style, or perhaps Georgian. We then took a long stroll around a lake that is on the north side of the campus. It reminded me a bit of Huhai Park. 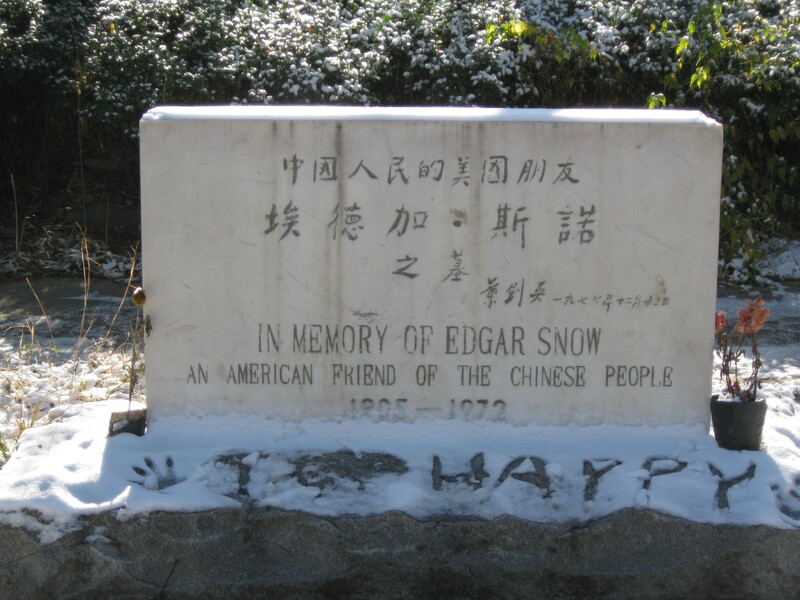 who lived in China and who wrote very sympathetically (too sympathetically?) about China during the mid 20th century as it re-established ties with the West. His best-known book is Red Star Over China. Apparently he was held in high regard by Mao and others of his ilk. I read later that he was heavily criticized in the West for not acknowledging the enormous famine that defined much of the Great Leap Forward, and which resulted in the death of about 30 million Chinese, mostly rural, I believe. The other thing was a very tall and mostly-beyond-vertical climbing wall, a photo of which I must send to David out in Boulder. 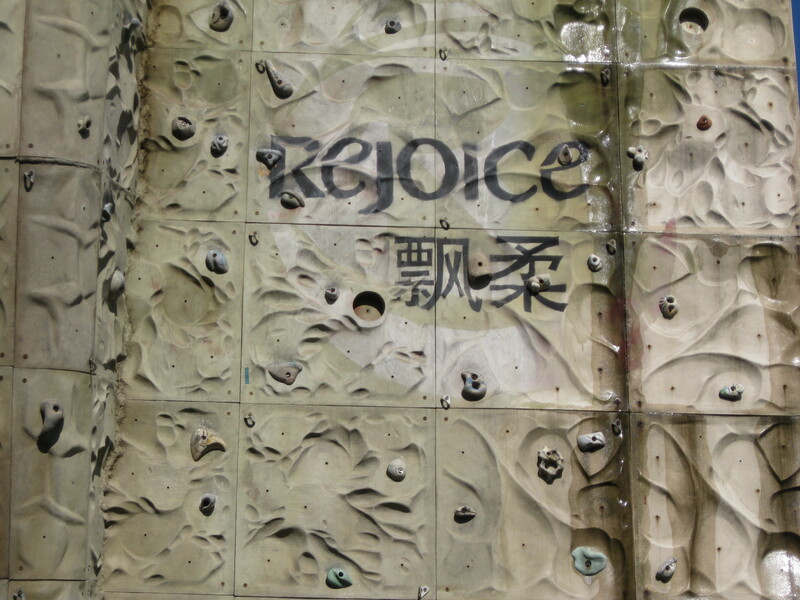 On the face of the wall is an advertisement with the word “Rejoice” in English. Angel explained to me that this brand is owned by “a very large company.” I finally figured out that she was referring to P&G, Proctor & Gamble! The walk around this small lake reminded me of Central Park, though on a much smaller scale. Angel and I had lunch just off campus. She told me “You are the boss” when it came to ordering lunch. I picked out three dishes. She asked me, “Do you know what you ordered?” pointing to one. She would not tell me. I later figured it out: pig’s knuckles. There is a first for everything. They were good, but one of my favorites now is lotus root in ginger sauce! I should add that on the way to the restaurant, we went into the university bookstore, where I purchased Peking University sweatshirt. One of my students has criticized me for always wearing the same clothes, so I have to expand my wardrobe, I guess. As I was checking out the various colors, models and sizes, I realized that the cup of hot chocolate (that I thought was empty) that I had put into my jacket pocket was in fact not empty, that a fair amount had dripped out onto the store’s floor. An embarrassing moment, to be sure, but not at the level of dropping one’s passport at the airport one’s first night in China, and then leaving it there. After lunch, we continued our walk, during which I asked Angel if she had considered teaching, as I do believe she would work very well with students. She told me that she has considered this, and I hope she will pursue this in the days ahead.